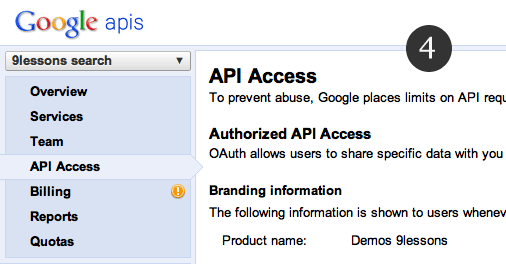 Few days back Google Plus has released OAuth application programming interface, right now they providing only user activities and circle data. 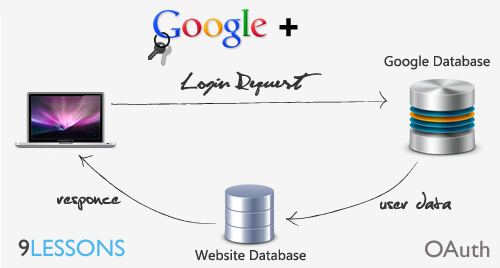 I had implemented a simple login system called User authentication with Google Plus data. Try this it’s almost like twitter login system, I hope in future Google + going to release some more options. Add or register your domain at click here. Verify your domain ownership with HTML file upload or including META tag. Google will provide you OAuth consumer key and OAuth consumer secret key. 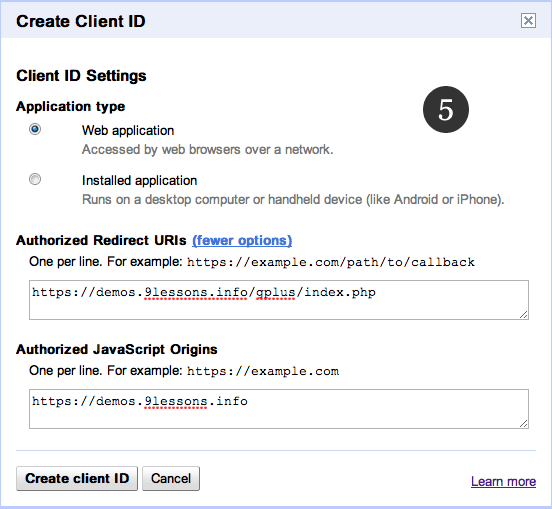 Create client ID OAuth Console here. Here you have to configure application OAuth keys and Consumer keys. Contains PHP code inserting Google plus session details into users table. Get friends api?You are the best!!! You should specify whether your going to save our data in your website or not, privacy option are really important please let us know whether you are going to save our data in your sql tables or not. Demo not connected with database. That is why I'm just displaying insert SQL query. hey what if you get SSL error?? whats wrong? What if you get "SSL error Unable to make a secure connection to the server. This may be a problem with the server, or it may be requiring a client authentication certificate that you don't have"? what does that mean?? 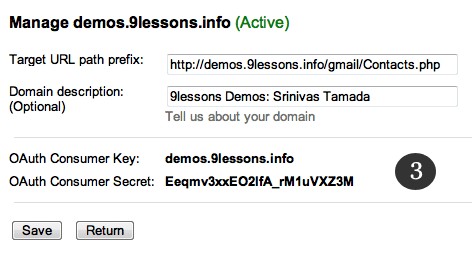 Hi Srinivas, Nice tutorial, is it possible to get the users email address? Usually i want to register users on my site with the provided data from Google in this example. For example, without the email address it's not possible to send a confirmation, activation email to the user who's logging with Google..
hey Srinivas it is working fine but the response comes in https:// which is generating error SSL connection error... Kindly explain how it can be fixed? I love your tutorial. I have used few tutoral earlier and it worked fine. Recently I have tried Login using Twitter and Facebook but it did not work. Today I have downloaded your script and modified config file. I have uploloaded config file but did not get "Google Plus Login" link on mu page. Can you tell me what could have done wrong? You have to buy valid SSL certificate it around $1000 USD. Srinivas.. as i know that your 9lessons is hosted on some Free WebHost then have you purchase SLL separate than your host?????????? Hello could you explain to everyone the differences between this method and the one here http://www.9lessons.info/2011/07/login-with-google-account.html and maybe which one is better to use? Its really useful tutorial.Thank you. 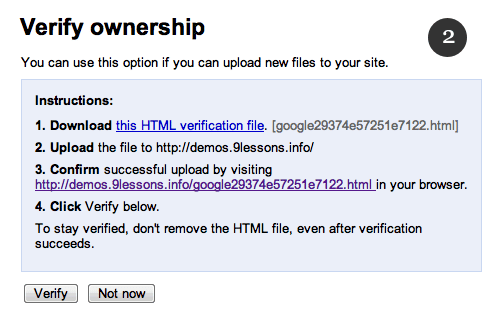 I have seen the live demo (http://www.9lessons.info/2011/10/login-with-google-plus-oauth.html) . Is it any possibility to avoid the Login screen (send EmailId and Passwd through PHP)? If yes, please let me know the steps. Finally, Googl eis trying to overtake one by one, first with the Google Plus, Next Hangouts video chat, next came location based status updates, next came Google Plus Pages for business and people and now it came with the OAuth login systems for websites. Good going, but it seems very slow in the field of Social Network. I heard that Microsoft is also planning a "Socl" Network launch soon. I wonder if is possible implement a login with the data of a specific "google group" members ? i really like your articles, this is make me have more idea. thanks. But why the name and any other info about me is coming, when I am logging-in with Google Plus. you must show name or any any info which can be accessed after logging-in through Google Plus. I'm going to use it a website which i'm going to create. The Demo is not working. I checked 2 months ago or so and it did. So I guess there is a update somewhere bugging the code. I downloaded the code and it does not work either. Can someone confirm this? I dowloaded this on my server and I got the same problem that demo has... it get stuck to the index.php?code=.... Srinivas watch this. Good piece of work though. It gives an idea of what google api are working. I have tested it and works fine.I just want to know that can I add any person to my circle or can I send friend request to any person by id or email using gplus api. Please tell me. I did not find any gplus api for friend invitation. Google Plus also the same problem repeated after getting info from G+ it does not get logged out.Even here there is no logout option too so can u pls check it out for log out to G+. I am not able to fetch email id and mobile number from google plus account. Please help me. How can i fetch email id from there. Is this updated to the Oauth 2.0 ?? These are warning.Not errors.So don't care. I got this error.please help me..
IS this process works on wordpress blogg too. I tried your Demo. But,my expectation is to implement in native blackberry mobile application. Can you suggest me some useful tips/metheds. where are the oauth2 client id and client secret used? Good one Srinivas ! but how to retrieve the email id using this API ? How to use it over multiple subdomains. Nice script but too BIG :( . 200kb with many files , is there a very simple script with just 2 or 3 files ?? I fixed the "Uncaught exception" error by putting ob_start(); on home.php and index.php. You insert this code on top of these pages to avoid the session issue. Altough I still cannot sign out on G+. Even in your demo it is not possible to sign out. After clicking sign out you enter home.php again and you will see you are still logged. Can you please fix this? Thanks for the tuto. I am getting error. I have changed CURLOPT_SSL_VERIFYPEER to false but still getting following error.